The ‘Stone of Eternity’ helps the being to learn and understand the true inner self, working toward recognition of abilities, talents and strengths. Opalite teaches that the being does not have to be held back by the physical self, from belief to the way the body is made up. This stone encourages the exploration of the soul and surrounding life, to learn of the connection between all. Opalite teaches that even the most colourful life goals can be attained, when there is awareness of opportunity and ability. A stone that helps to bring an understanding of there being wisdom in all experience, and how that wisdom can be called upon to be put into action to better life. Opalite encourages love and peace. It is a very beneficial stone to keep in areas where both are needed. Alongside this, Opalite can help improve sleep, calm agitation and anxiety, settle nerves and sooth feelings of distress. This stone can be helpful in softening a hardened and defensive being, whilst neutralising harsh and heavy atmospheres. Also, Opalite can help to sooth skin inflammation, soften wrinkles and improve skin health overall. Opalite is a good stone for the release of fears and worries, whilst helping the being to move forward with renewed hope and courage. It is also a stone that brings support toward the acceptance of changes in life, whilst teaching of the eternal wisdom that can come from learning throughout each process. 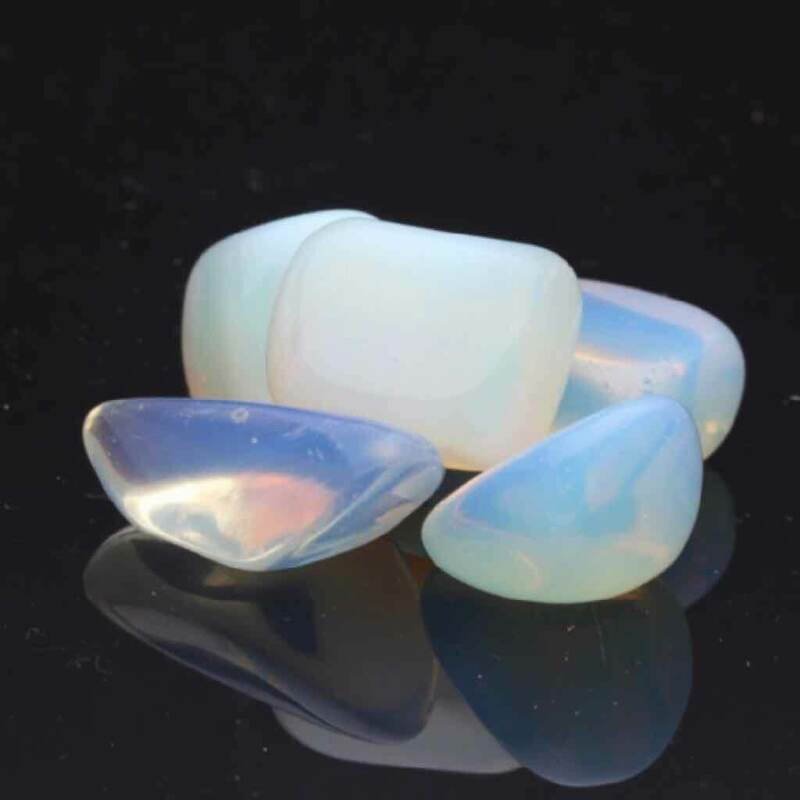 Opalite attracts pure energy. It is a stone to use in communications with the angelic kind and spirit guides, as well as in attracting positive energy where and when it is needed. Please note that Opalite is a trade name for synthetic opalised glass.